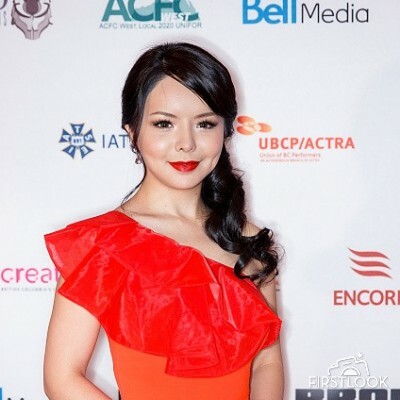 The reigning Miss World Canada who was prevented from competing in China at the 2015 pageant final, is now a Best Actress winner thanks to her performance in The Bleeding Edge, a feature length thriller from Vancouver’s Peabody Award-winning director Leon Lee about prisoners of conscience in China. The 2016 Leo Awards are BC’s highest film accolade, the ceremony was held on June 5th at the Hyatt Regency Vancouver. Anastasia Lin made global headlines in 2015 when she was prevented from competing in the Miss World beauty pageant in China because of her outspoken political views condemning the communist government. She refuses to be silenced and continues to push boundaries and speak up against human rights abuse in her native country. The Bleeding Edge is Lin’s first leading role since being barred from the Miss World final, and her first win for best actress. The film will be released across Canada later this year by Flying Cloud Productions and was recently the recipient of the 2016 Gabriel Award for Best Film. The Leo Awards were founded in 1999 by the Motion Picture Arts and Sciences Foundation of British Columbia, a not-for-profit organization whose mission is to celebrate and promote the achievements of the British Columbia film and television industry.